Majestic brick 2 story home in Centerville on large corner lot with mature trees, only just minutes away from all shopping and dining Wilmington Pike has to offer! Updates include tile flooring in master bath and granite tops throughout the home. Open kitchen with bar top counter to eat in. Formal dining, large living room with brick fireplace, study with wooden double doors, and family room. 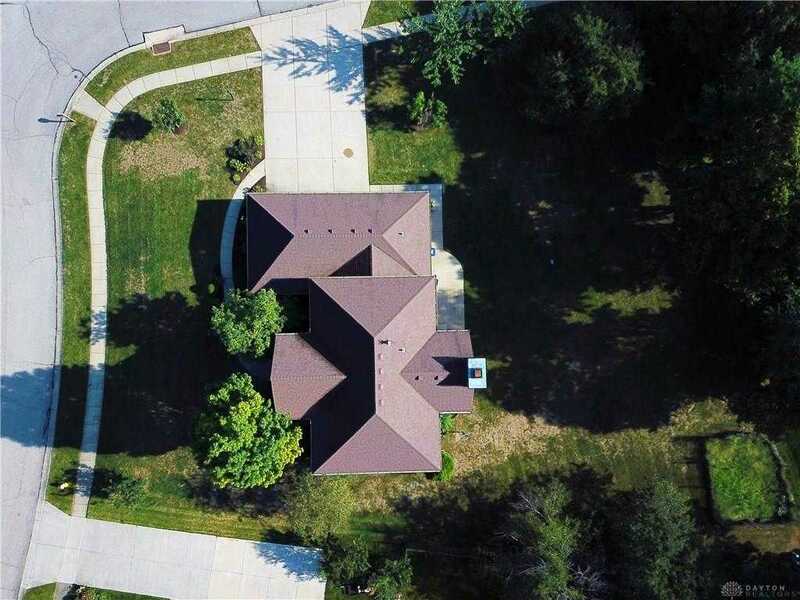 Large finished basement, en suite master bath with soaker tub, big walk in closet. 3 additional well sized bedrooms down the hall and full bath with double vanity granite top. To top it all off is an attached 3 car garage and wide driveway. Fresh landscaping means this one is yours to relax and enjoy for the rest of the summer/fall season. Call today! Directions: Take Alex Bell to N. on Penridge, then take a Right on Montpellier Blvd. Please, send me more information on this property: MLS# 783800 – $315,000 – 6830 Montpellier Boulevard, Centerville, OH 45459. I would like to schedule a private showing for this property: MLS# 783800 – $315,000 – 6830 Montpellier Boulevard, Centerville, OH 45459.